I've frequently seen talk of monochromatic outfits on fashion forums, style blogs and pinterest, but I also love analogous combinations. There's just a bit more depth to them. Here are my most recent ones. A varieties of blues in the green direction. The brown belt adds a hint of contrast. On the other side of blue spectrum toward purple. Silver accents keep things cool. 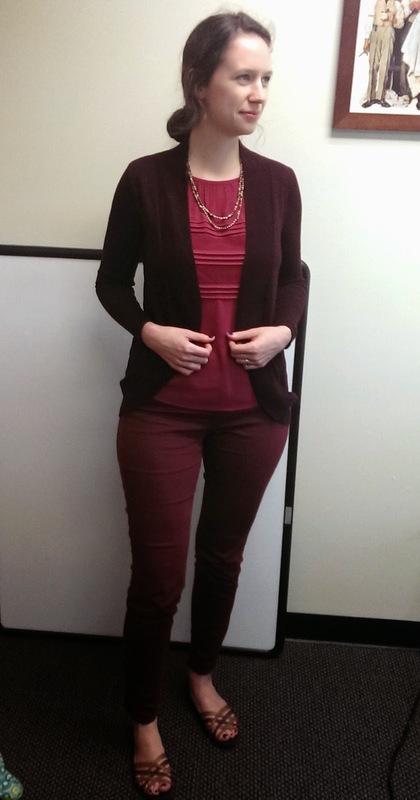 Finally, a truly monochromatic look with shades of burgundy. This is the last post in my series about a personal discovery I recently made about colour. This isn't new information, but it's new to me, and I'm excited about it. 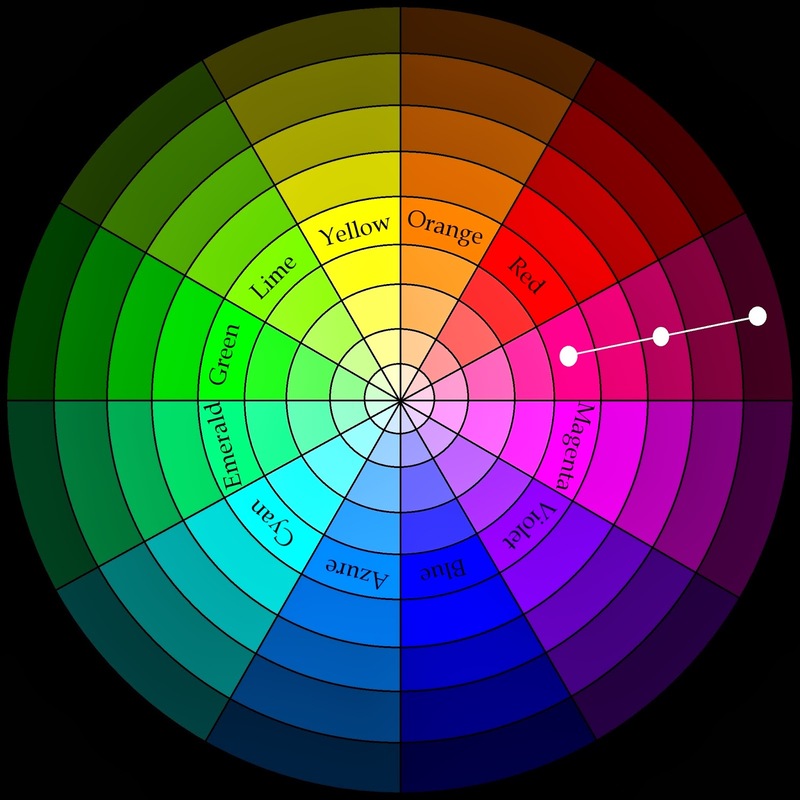 I’ve talked about the traditional colour wheel, the “real” colour wheel, and what other components of colour are important. Today I’ll cover which colours work best together. Also, I'm Canadian, and I spell colour with a U. Deal with it. You know all kinds of things about colour now, including what the actual primary pigments are. The trick now becomes how to put those colours together. There exist three different types of color schemes or combinations of colours: monochromatic, analogous, and complementary. These work as guidelines for which colours work well together as long as you create variation in terms of value and chromaticity. A monochromatic colour scheme is one in which a single hue or tone varies in value. In other words, choose a single hue or tone, and then lighten and darken it. This scheme reduces contrast and prevents the eye from focusing on any one particular area. If you want things to just blend in, go with a monochromatic colour scheme. Of course, if the monochromatic colour scheme is in a hue that contrasts noticeably with the environment, the fading away effect will no longer work. Black white and grey may go unnoticed, but shades of red may be more noticeable. An analogous colour scheme occurs when shades and tones of adjacent hues on the colour wheel are combined. 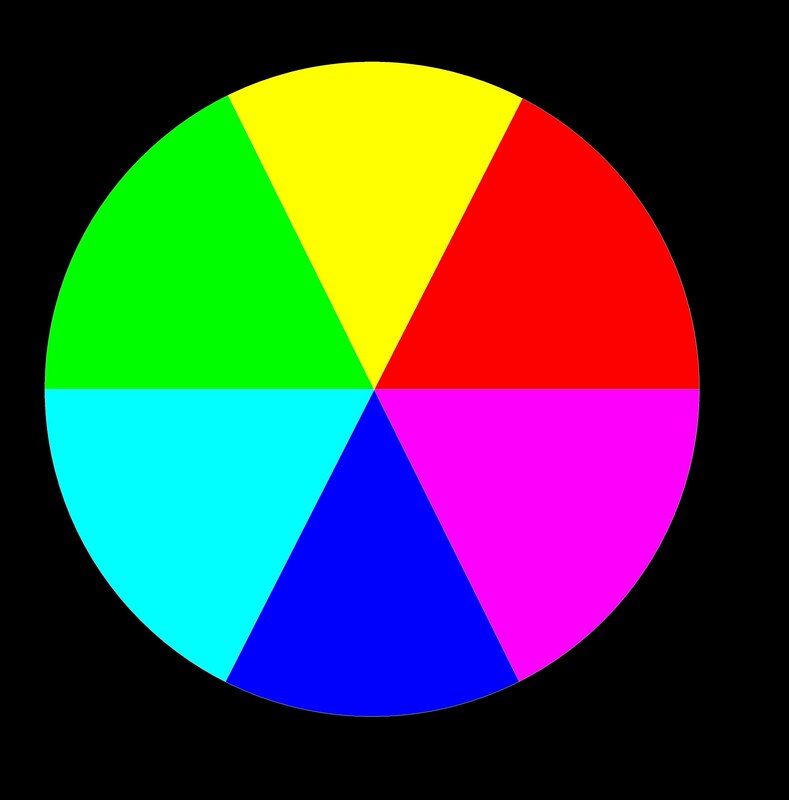 Choose two or three hues which are next to one another in the colour wheel and combine those. The effect of this scheme is similar to the monochromatic scheme; the colours blend with one another, especially if they are alike in value or chroma. Citrus colours (think orange, lemon, lime) together do not create much contrast with one another. Similarly, deep purples and blues together in an outfit blend easily. The closer the colours are in the colour wheel, the less contrast they create. Above, the blues and purples are very close to one another. 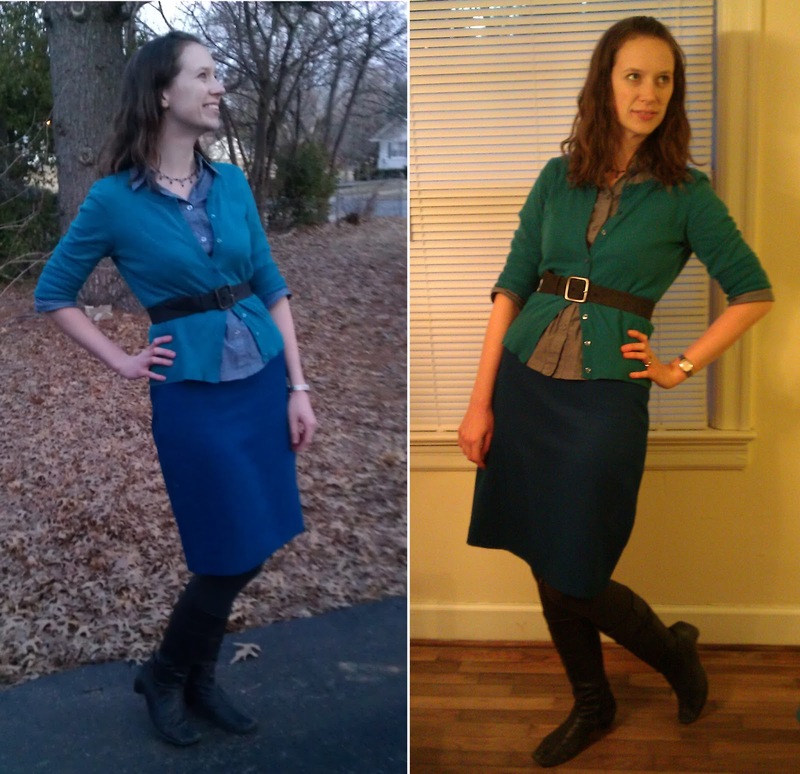 Below, the blues and greens are a bit more spread out. The colours are still harmonious, but they create more contrast. The classic complementary colour scheme is most heavily influenced by using the “real” colour wheel because it combines colours which are opposite each other on the colour wheel. Complimentary colours are essentially opposites – they each make the other colour stand out more. Combining blue and yellow makes the blue look bluer, and the yellow look brighter. Choosing two hues is often too jarring, so consider tones, shades and tints. Here is a shade of blue (navy) with a yellow tone. There are three other types of complementary colour schemes that you can use. The split complementary scheme chooses one colour and the two colours adjacent to its complementary colour. For example, azure and orange are complementary. Orange is adjacent to red and yellow. Therefore azure, red and yellow together make a split complementary scheme. 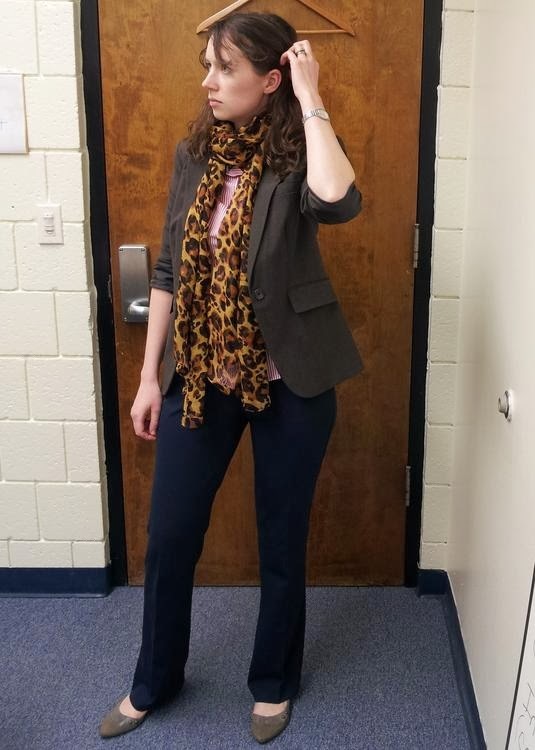 To translate this into an outfit, I’ve combined leopard print shoes and a bronze scarf (yellow tones) with a red blazer and chambray blouse. I have anchored everything with neutral, black pants. A double complementary colour scheme basically combines two complementary colours schemes together. Ideally, the four colours form a rectangle in the colour wheel rather than a square. Otherwise there is too much contrast and the outfit just looks like a mess of clashing colours. This can be hard to pull off because it emphasizes the differences rather than the cohesiveness of the colours. It becomes really important to use dark shades, light tints, or greyer tones of some of the colours involved. Below, I combined dark emerald pants and a fuchsia (rose) top with a light azure cardigan and bright orange purse. 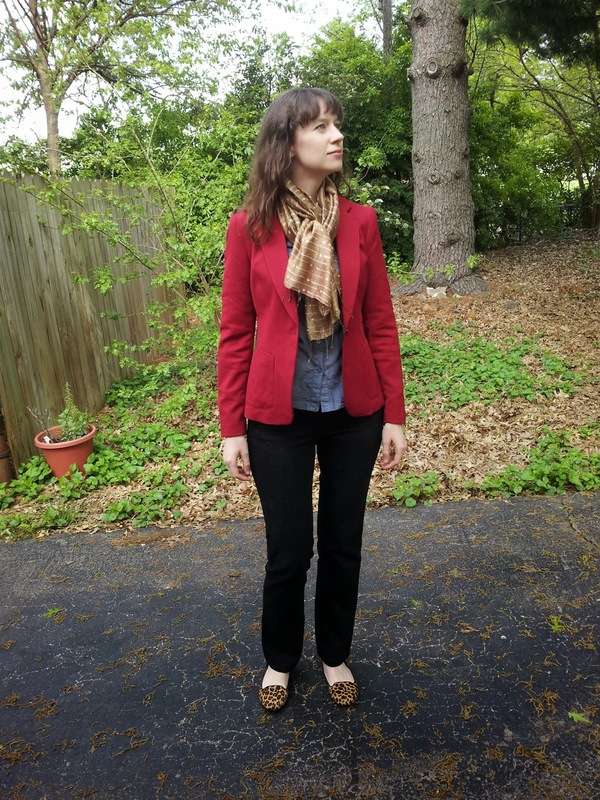 The darker pants and lighter cardigan temper the brighter hues, and because azure + orange and emerald + rose are complementary pairs, everything is still in balance. 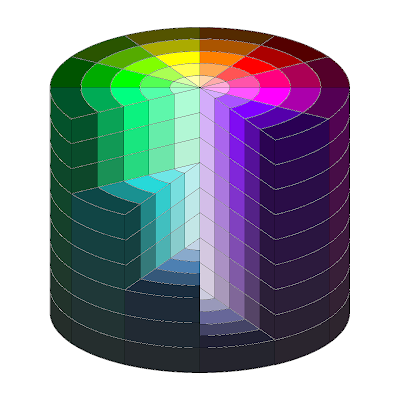 Finally, a triadic colour scheme groups three colours which are equidistant in the colour wheel. For example our three ‘real’ primary colours – cyan, magenta and yellow – form a triad. The three secondary colours – red, blue and green – also form a triad. Here I used shades of red (maroon) and blue (navy) with green. I also added a bit more red with a bright red lipstick. It is important to note that in most of these cases, I never use more than one hue at a time. The boldness of a hue often needs to be tempered with shades, tones, and tints or with neutrals. I hope you've enjoyed this series about colour. You may see the world in a new light! I'm back! My dissertation is defended, deposited, and done. I'm a PhD! 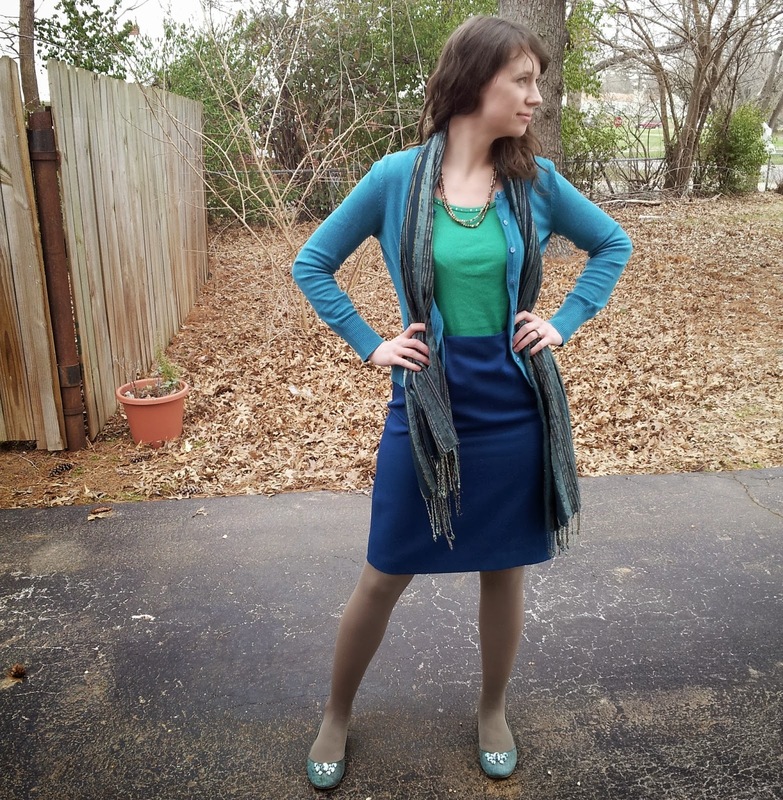 This is the exact same outfit, just in two different lights.The yellow, indoor light really highlights the green qualities of the turquoise cardigan, and the cool, blueish natural evening light makes all the blue clothes look more similar in hue. 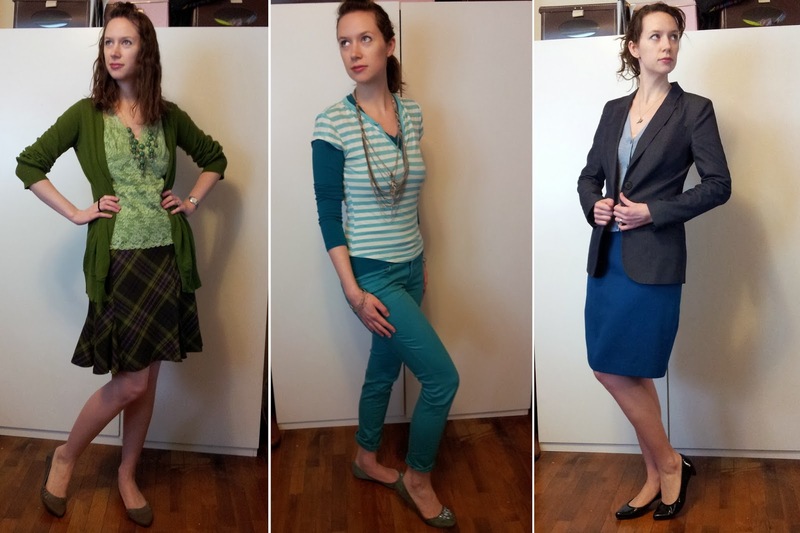 The colours in bright white light are more like indigo (skirt), azure (button down), and turquoise (cardigan). They're all blues, but very different blues. More on colour in the next segment about colour schemes. It's dissertation crunch time. I'll be back in March. This is the third post in my series about a personal discovery I recently made about colour. This isn't new information, but it's new to me, and I'm excited about it. I’ve talked about the traditional colour wheel, and the “real” colour wheel already, so today I’ll address what other components of colour are important. Next time, I’ll cover which colours work best together. Also, I'm Canadian, and I spell colour with a U. Deal with it. 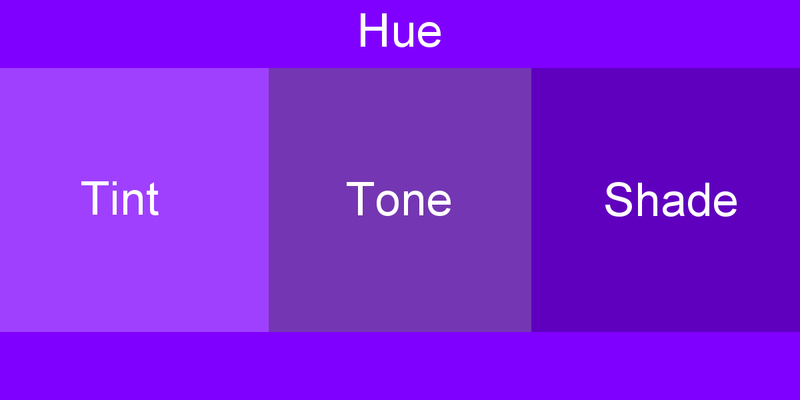 Hue: a pure colour like cyan or orange. We use hues the least frequently because they are so jarring. Unless you live in the tropics, the colours you see most days are probably mostly tones with a few tints and shades. There are a few other ways to describe how colours change. Chromaticity describes how pure a colour is in relation to grey. As we add more and more grey to a colour, it becomes less pure. Value describes how light or dark a colour is. Colours can vary in both value and chromaticity. Tints, shades, and tones don't describe how colours vary in enough detail. The blue tone of out living room walls, for instance, has a low degree of chromaticity which means that the walls are a little bit grey. 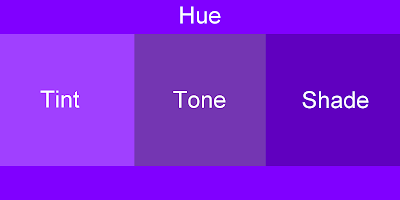 The colour also has a light value; it is more light than dark. So our walls are blue (hue), but also a bit grey (chromaticity) and rather light (value). Simply calling our walls a tone of blue does not explain in enough detail what colour they actually are. Saturation is a third way in which colours vary, but it is very subjective, and not often used. Saturation describes how pure a colour is, but not in relation to grey. Imagine a very thick glob of paint – it would be totally saturated. A thin layer of paint, though, would have a low level of saturation. You can also see how saturation would change depending on the lighting. At night, our walls will not look very saturated; they will look more dull. During the day, when there is a lot of natural light, our walls will look more saturated: brighter and more intense. The same exact colour can vary in saturation depending on the context. That's why we get pain chips before painting - to see what they look like in our home and at different times. You can see how hues change around the circle; a new wedge is a new hue. Value changes along the diameter of the circle, getting lighter toward the center and darker toward the outer edge. Chroma varies up and down the cylinder so that at the bottom of the cylinder we have very grey colours and at the top of the cylinder the colours are not grey at all. Now you understand how colours vary. It's not just blue and yellow, but light and dark, and grey and pure. An important question remains, though. Which colours work well together? I’ll cover that and more next time. This is the second post in my series about a personal discovery I recently made about colours. This isn't new information, but it's new to me, and I'm excited about it. Today, I'll talk about the "real" colour wheel and what it looks like. 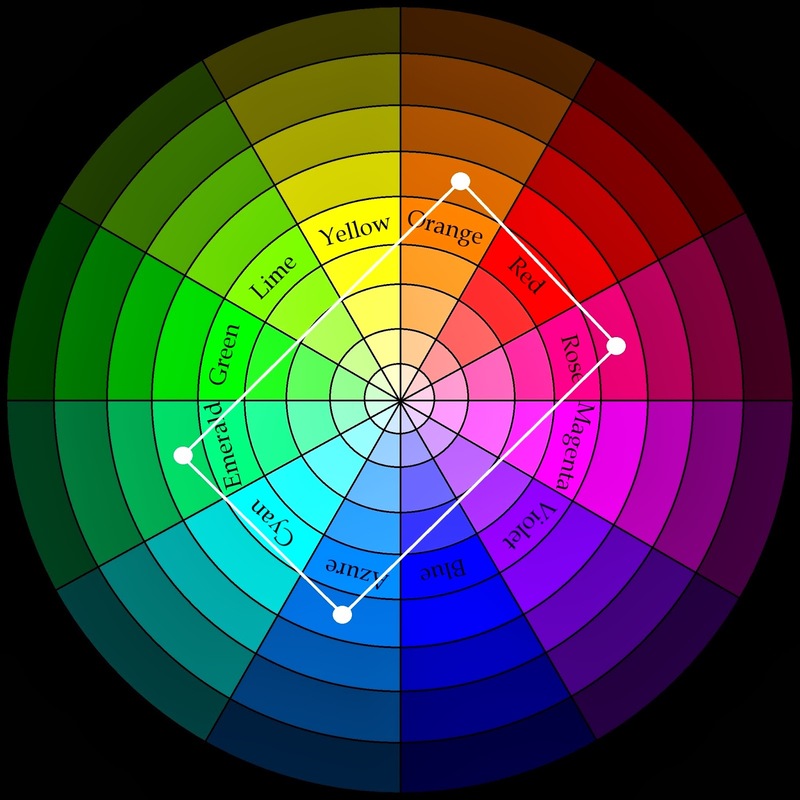 Last time I talked about the traditional colour wheel, and as the days go by, I'll address what other components of colour are important, and which colours work best together. Also, I'm Canadian, and I spell colour with a U. Deal with it. Last time, I talked about what we have learned to be primary colours, and how they’re not really primary because we can’t create all the colours of the rainbow with them. I also mentioned that your printer can print all the colours of the rainbow with only cyan, magenta, and yellow, so we can consider those three to be primary colours. This is the “real” colour wheel with yellow, magenta, and teal as primary colours. Notice that blue and yellow sit opposite each other. There are two ways to look at colour: the additive and subtractive approaches. The additive approach is sometimes referred to as RGB (red-green-blue) because when you add red, green and blue lights together, you end up with white light. Additionally, when you add two lights together, they make a third, brighter light. What’s most notable is that the three “secondary” colours are brighter than the primary red, blue, and green because they reflect more light and absorb less. The subtractive approach (right) combines paint or ink instead of light. A white background reflects all light, and adding pigment "subtracts" some of the light waves being reflected back to us. The primary colours are the brightest pigments that only absorb one kind of light and reflect the other two. We’ve seen that cyan reflects blue and green lights, magenta reflects blue and red lights, and yellow reflects green and red lights. That’s why cyan, magenta, and yellow are the three primary colours in the subtractive approach. Your computer screen uses the additive approach because it’s using light to create images on your screen. If you turn your monitor off, the light goes away, and the screen goes black. Your printer, on the other hand, uses the subtractive approach. Paper with no ink on it starts out as white, and as inks are added, colours appear. With objects like clothes, food, and living room walls, using a subtractive approach makes the most sense because the colours are made of pigment (like paint or ink) rather than light. I had a hard time believing that yellow and magenta mixed together would make red. But seeing is believing! Here are some swatches I made by mixing different amounts of yellow and magenta paints. There are warmer reds with more yellow and cooler reds with more magenta. For the most part, though, these colours look like red to me. All the colour watches I have painted and posted here are made using exclusively cyan, magenta, and yellow paints. The blues you see in my colour wheels here are made by mixing only magenta and cyan. We've established that cyan, magenta, and yellow are primary colours, and when you mix two primary colours you get secondary colours: red, blue, and green. But what about orange? And more importantly, what about purple? It turns out these two are tertiary colours, those transitions between primary and secondary colours. So to make purple, we have to mix 3 parts magenta with one part cyan. You can play with this formula to create many different purples, as illustrated by my swatches here. Notice that none of them are muddy or grey. That's because I'm actually using primary, not secondary colours. The problem with mixing red and blue is that you're actually mixing all the primaries together. This makes for a muddy mix. Most of the colours we encounter in daily life are not quite so bright as the swatches I've painted here. So where on the colour wheel do they fit? More on that next time. I spend a lot of time on those there internets. There are tons of sites that I love and visit regularly, like Girls with Slingshots, Go Chic or Go Home, and Feministing. Uh oh, the secret's out, I'm a feminist. I believe in equal rights for everyone. Crazy, I know. And surely you already know about my complete and total obsession with Smitten Kitchen. But what about all those other, smaller blogs. You know, the ones with 100, 50, or even fewer followers. Uh, like mine. If you would like to know more about some of these blogs, here's some good news for both of us. 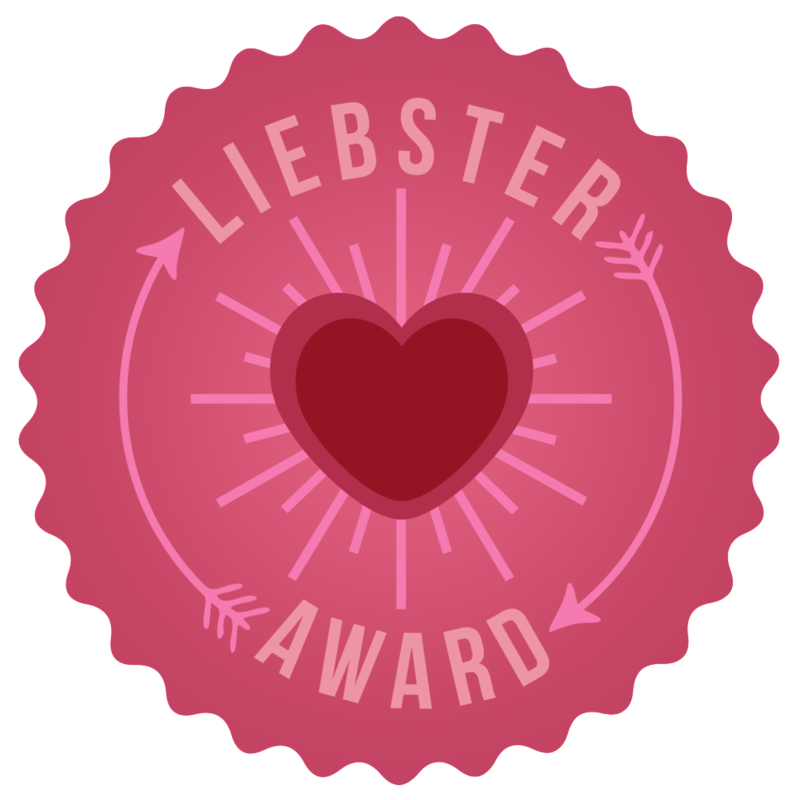 Jackie of My Caribbean Closet nominated me for a Liebster Award. A quick note about Jackie - she is one stylish lady. My goodness. I just love this monochromatic outfit. Perfect for work or a night out. Or both! Double duty awesomeness. The Liebster award business goes like this. 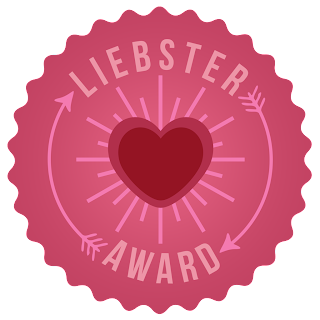 In German, Liebster means "dearest" or beloved. The award is intended to highlight some wonderful, but lesser known blogs (200 followers or fewer). This way, bloggers can recognize one another and share the love! In order to accept the nomination, I'll share 11 facts about myself, answer the 11 questions Jackie put forth, ask 11 of my own, and link to my favorite lesser known blogs that I like to keep up with. 1. I was one of the 5 shortest kids in my class until the 7th grade. I'm 5'9" now. 2. I started dressing myself at 3 years of age. My mother thinks I clashed, but I think she was using the wrong colour wheel. 3. English is my second language, after French. 4. When I was a kid, I used to be able to switch from a Qébécois accent, to a northern French one. 5. My favorite food is desert, but my least favorite deserts are chocolate. 7. I conduct social scientific research focusing on conflict, gender, culture, and social perceptions, but I consider this blog an escape from that work. 8. The best part about cake is cake. The worst is frosting. 9. I impulse buy tie-neck blouses (i.e. secretary blouses). 10. The only things I've knit for myself that I like enough to wear are socks. They're really nice socks, though. 11. I start Christmas shopping in February. That is the ONLY thing I don't procrastinate on. 1. What is the best advice you ever received? "Trempes ton pain dans la sauce." Translation: "Dip your bread in the sauce." It's always a good idea. 2. Tell us about your blog: What type of camera do you use for your photos, and do you have help or take your own pictures? I take the majority of my own pictures with my little Canon PowerShot (ELPH 300 hs). It's nothing fancy, but it is red. Sometimes my husband will take photos if I'm in them. 3. What are your five "go to" pieces in your wardrobe? 4. If you could meet/interview any one person, living or dead, who would it be and why? David Lebovitz because he has so much expertise and experience but yet still seems down to earth and easy to talk to. If I wasn't such a nerdy fangirl, I think it would be Joss Whedon, but if I met him, I would probably loose all ability to speak. 5. What "gadget" can you not live without (e.g. camera, laptop, iphone, can opener ;) )? My food processor. Whatever, I don't need a phone. I do need easy cakes and home-made mayonnaise. Saturday - there is this time... to procrastinate. Winter, of course. So many more fashion options! Plus, baking is better when it's cold outside. Sweet. I have a special (imaginary) second stomach dedicated solely to dessert. So even if I'm full on dinner (or lunch) I will still have room for dessert. 9. What is your favorite holiday? New Year's - there never seems to be any drama, just sparkles and bubbles. 10. In your opinion, what is your best trait or feature? My enthusiasm. If I don't like you, at least I'll be enthusiastic about it (jk... kind of). 11. What do you wish people knew about you? I prefer directness to tact. Just tell me, already. 2. What food do think everyone should try at least once? 3. What is your favorite dish? 4. What is your favorite town/city? 5. Your ideal vacation spot: beach or lake? 6. What makes you cringe? 7. What was your biggest surprise? 8. What colour is your favorite room? 9. What book made you laugh out loud? 10. What's the last movie that made you cry? 11. What changes have you made in your life that you are most proud of? Thanks for reading, and I hope you check out some of those other blogs! Hi, my name is Nathalie. I love fashion and food. I'm from the Northeast, living in the Midwest, and learning to fit in. I'd love to share my ideas with you.